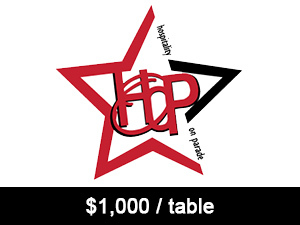 Purchase your Hospitality on Parade table for $1,000 per table. This $1,000 special price will not be available after September 21st. Tables are for 10 people.